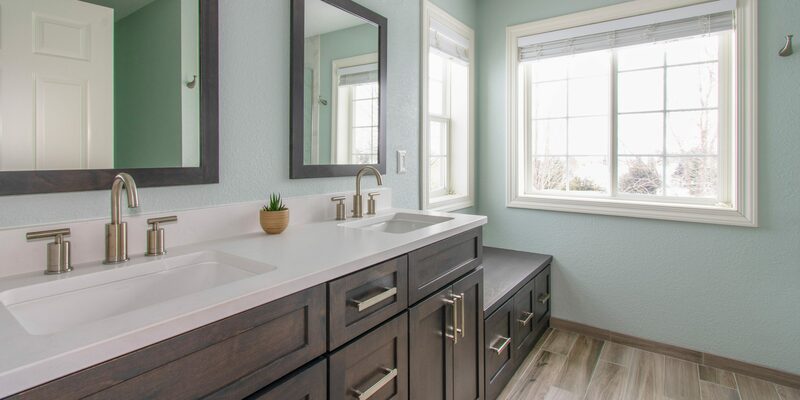 We brought modern elegance to this Oconomowoc master bath! The original space included a small walk-in shower and a whirlpool tub the couple never used. The homeowners opted for a large walk-in shower, featuring multiple shower heads, carrara marble tile and a mosaic accent tile in the niche. We installed a heated porcelain tile floor to bring warmth to the space. The wood vanity is topped with quartz counters.